We are offering to our clients a wide range of Decorticator Machine. These have the highest Capacity per meter width of twin roll drum. Offered product is highly acknowledged among our clients due to their fine performance and accurate dimensions. 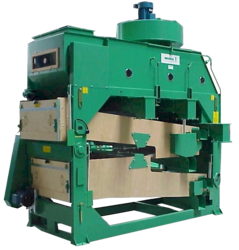 Offered machines are very reliable and are used in various industries. Moreover, we assure timely delivery of our products. The replaceable cutting surface on decorticator roll will process the highest tonnage at the lowest cost. Delinted/undelineated, sunflower, soybean and groundnut etc. 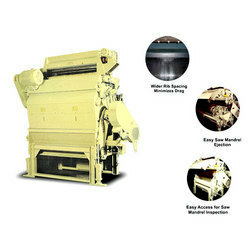 Our clients can avail from us a wide range of Delinter Machine. 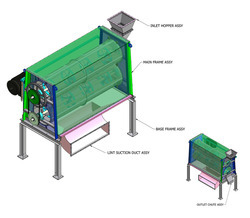 These are designed for High Capacity cotton Seed delinting at rates up to 4.2 tons per hour. 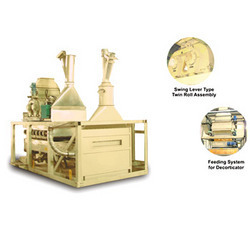 It is designed for maximum efficiency and production of superior quality Linter at industry leading production rates. Maximum efficiency is obtained through precise engineering in a user-friendly design to facilitate operation and maintenance. It has 176 Saw Blanks made of superior & special steel material. 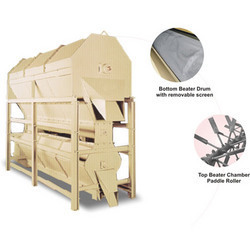 We are counted amongst the top companies involved in offering a wide array of Hull Beater.These are uniquely designed with a built-in tailing beater eliminating the need for additional conveying systems. These are capable of handling capacities in excess of 200 tons per day of delinted & undelineated cottonseed, the model 4620 is unequaled in the industry. When combined with the CEC/bajaj decorticator /separator system, oil in hulls is maintained at a low level by residual meat recovery to the maximum extent, even with 12 % to 14% lint on hulls. Rated Capacity	 5 TPH on Cottonseed at 7 to 10% Moisture. We are offering to our clients a wide range of Cotton Seed Cleaner. These are manufactured by our professionals using best quality material and technology to render maximum client satisfaction. 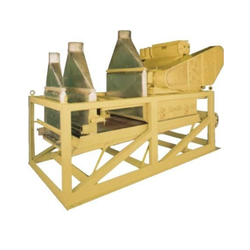 This machine has an integral fan, the drive train for sieve-boat, trash conveyors and motors. The machine is of steel construction with sieve-boats of laminated wood. BAJAJ BRUSH DELINTER is designed specially for cottonseed breeding & black cottonseed producing industry. This machine is a gentle delinter which can remove up to 80 to 90% of the linter available on the cottonseed. The machine deploys rotary brushes and abrasive strips to provide superior delinting action. To furnish the diverse requirements of our clients we are involved in offering a wide range of Decorticating Plant. These are highly reckoned among our clients due to their effective working and durability. We use best quality material and advanced technology in manufacturing these Decorticating Plant. These are used in various industries are known for their fine performance. Moreover, we assure timely delivery of our products. Looking for Delinting & Decorting Machinery ?